It’s going to be a beautiful day tomorrow. We’re doing the ride to the Horses today – heading to the SUNY Stables and back. It should be around 30 miles, not too much climbing. Once we get back on the service road, if people want to go longer, head east. If people want to head back, head back. Expect a quick day and hit it hard once we’re on the SUNY campus. We can regroup at the tail end of the Stables area where everyone slows down anyway right before we get back out to the service road. Somebody study the map because I’ll get us lost. 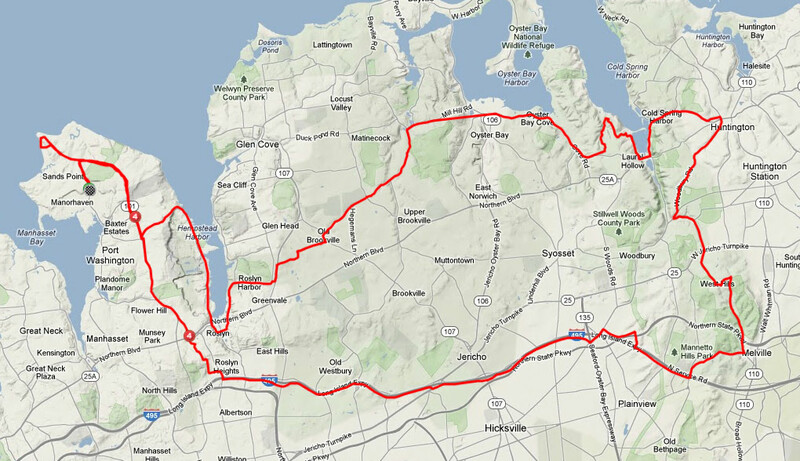 March 23 – 35-40 miles or so. About 40 or so miles. Great weather expected! Ok it might be sleety, Rainy, snowy, who knows. So I’m calling off the ride for Saturday. It’s on for Sunday though! Now if you WANT to ride Saturday, post up below. Ride starts at 8:30. Should be 40ish miles. 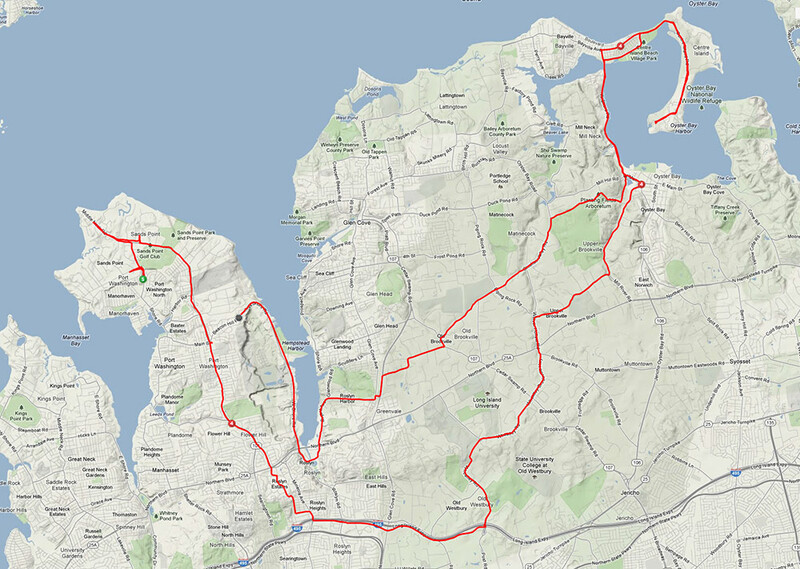 A fun, fast 50 mile ride that takes us out to Centre Island. About 2000 ft. of climbing. 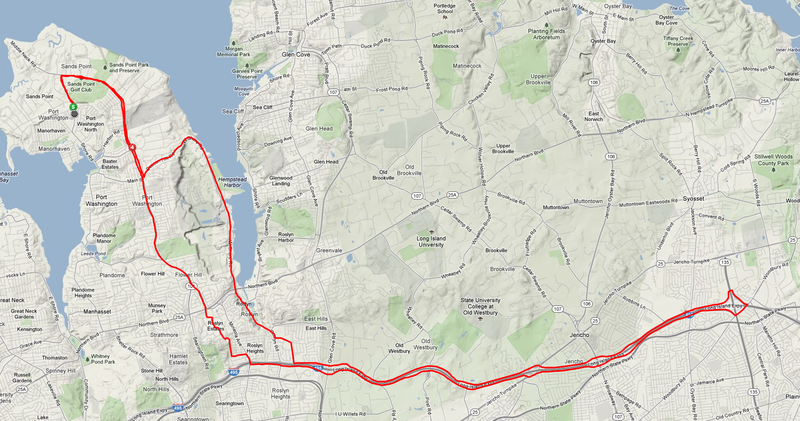 The ride takes us out of Port Washington on to the service road and hook a left onto Post road. Up and down through Wheatley road, we make our last climb and things pick up quickly. We cross over Shore road and into Centre Island where we hit it and take a quick rest at the turn around. We head back through Old Brookville and do the Chicken Valley thing. We then finish it out with the soul crushing headwinds that are always by Bar Beach and the final 7-8% climb up W. Shore Road. 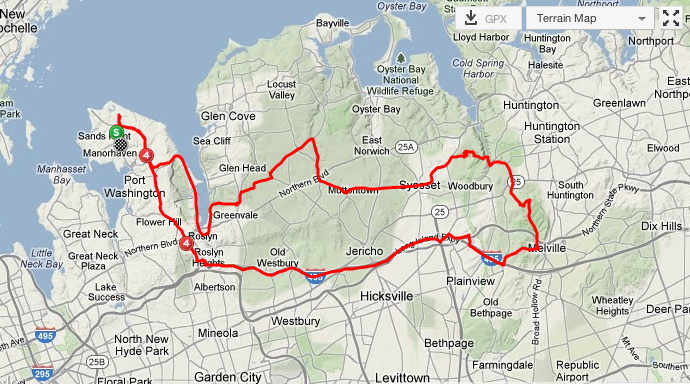 A fast out and back, 35 mile ride. There’s a minimal 1000 ft. or so of climbing. The ride takes us out of Port Washington and out to the LIE Service road where the pace picks up a on the rolling hills and a sprint to the Home Depot. We keep on the service road, hit another sprint point, then it dead ends into the “Wall” and head back. More rolling hills. We then finish it out with the soul crushing headwinds that are always by Bar Beach and the final 7-8% climb up W. Shore Road.